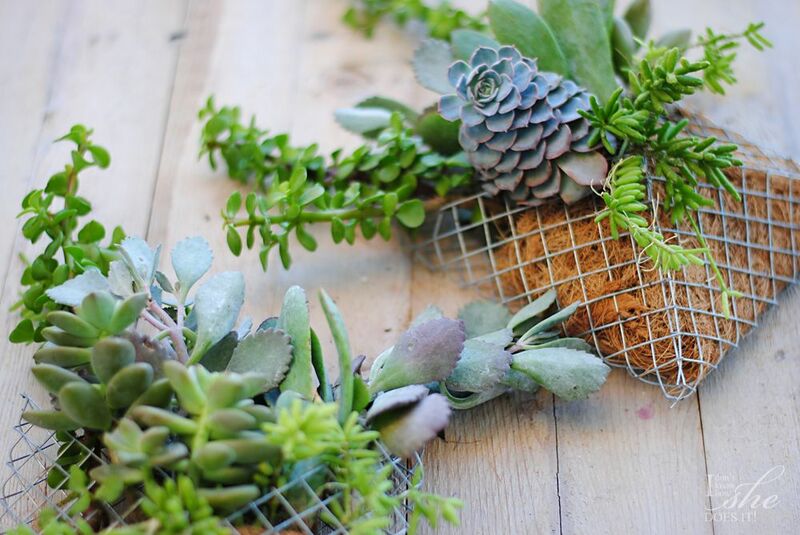 I must be turning into some sort of succulent hoarder, so much that I needed to create this wall pocket planters in order to keep up with the overstock of these type of plants. It’s just that succulents are so forgiving and the best plants to have either inside or outside my apartment. 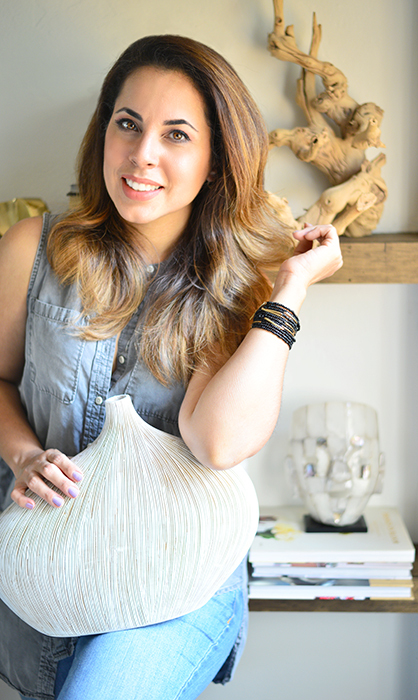 The variety and colors are endless and they can be mix and match for a more interesting look. Having justified myself said all this, now I can tell you about this little project which took no time to do. 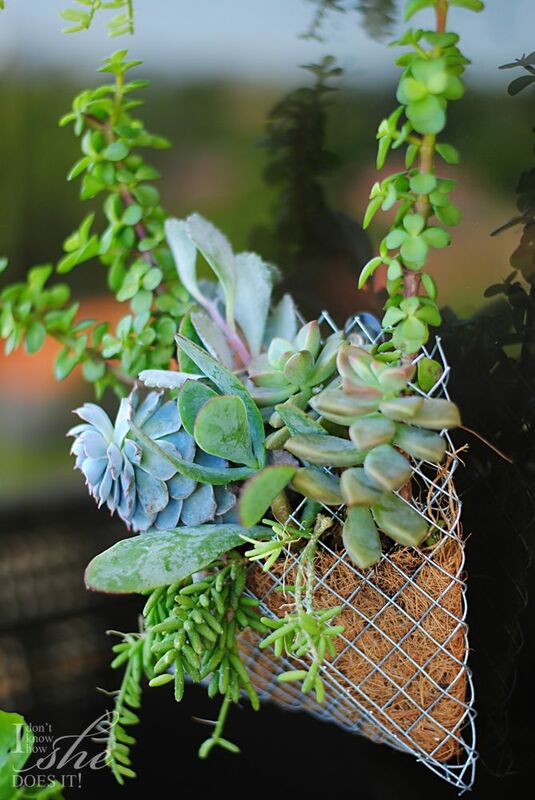 You’ll need galvanized steel chicken wire, 28 gauge steel galvanized wire, some succulents, a pair of metal snip pliers (the ones I used are Wiss) and “coco liner” for the inside of the pockets (all materials are available at +The Home Depot). I started by cutting a 10″ by 10″ square (if you are buying your galvanized steel chicken wire with 1/2″ squares, you’ll have to count 20 squares for the length and 20 for the width) and after this, I bend 3 of the corners toward the inside (just like the image below). To fasten them together, I used a 28 gauge steel galvanize wire which is a soft metal cable and very easy to bend. I later on cut the renaming corner so all I was left with was a steel wire pocket planter. Because I’m using them to plant my succulents, I filled the inside of these pockets with some coco liner. To finish this project I just planted and water my plants. You can make these pockets as little or as big as you can. 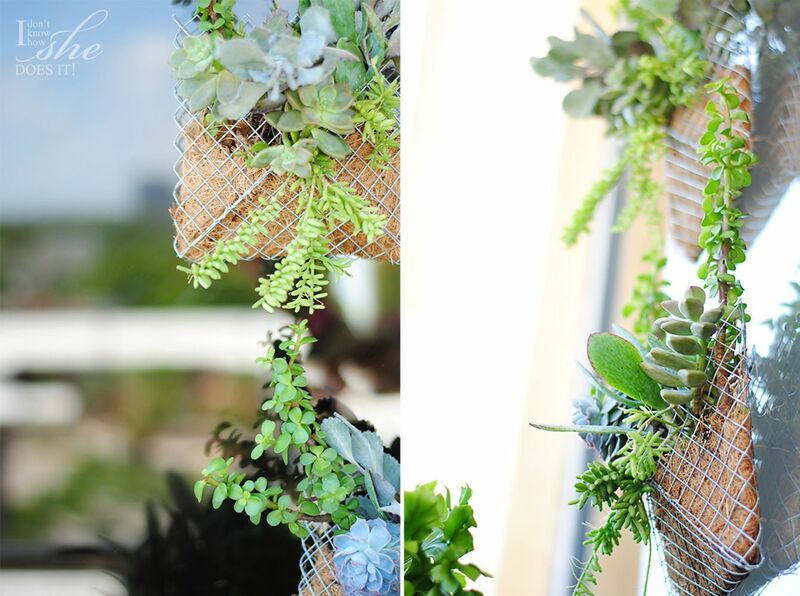 It will all depend of the purpose of the planter and the place you will be hanging them. I placed mine on the sliding windows in my balcony. Don’t they look great! To place these planter on my sliding doors, I used plastic glass suckers with small metal hangers. Let me know what you think about this project; as always it gives me an immense pleasure to read your feedback. Have a great weekend! 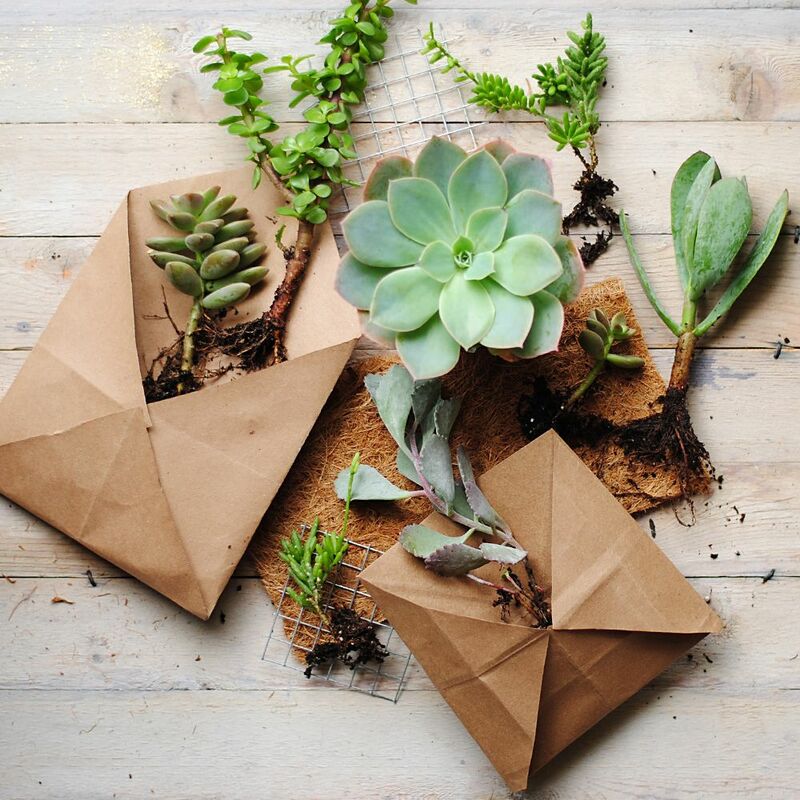 did you use any potting soil for the succulents? This looks wonderful! Hello Sarah! So glad to read you. For this project I used organic potting soil from HomeDepot. Hope this helps. If you need anything else, please let me know. Have a great weekend. hey i was wondering what they were like to water as i would like to make some fo my bedroom but don't want water going everywhere! Hello there! I would recommend watering them somewhere outside and wait for them to dry a little before hanging. Since I only planted succulents, they don't require to be water constantly. Hope this helps and thanks for stopping by. Hi Jessica! I'm so, so happy you like them. Let me know how they worked out. Have a beautiful day! Thank you Ursula. What a lovely surprise to read you here. Loving your FB posts as always! Have a great day!! !